Roach (Gary Waldhorne), disenchanted with the rewards for being a communist spy wants to go freelance, and threatens his comrade Poole (Rowland Davis) with death unless he too abandons the cause. He sees Bert Brandon as the perfect escape - Brandon (George A. Cooper) is another spy, due to be released, who claims knowledge that will rock the government to its core. Brandon tells his cellmate - Gambit - he'll be rich as soon as he's released. Steed tells the Minister (Geoffrey Toone) and Home Office bureaucrat George Harmer (Derek Waring) Gambit has been trying to weasel information out of Brandon for over a week without success. 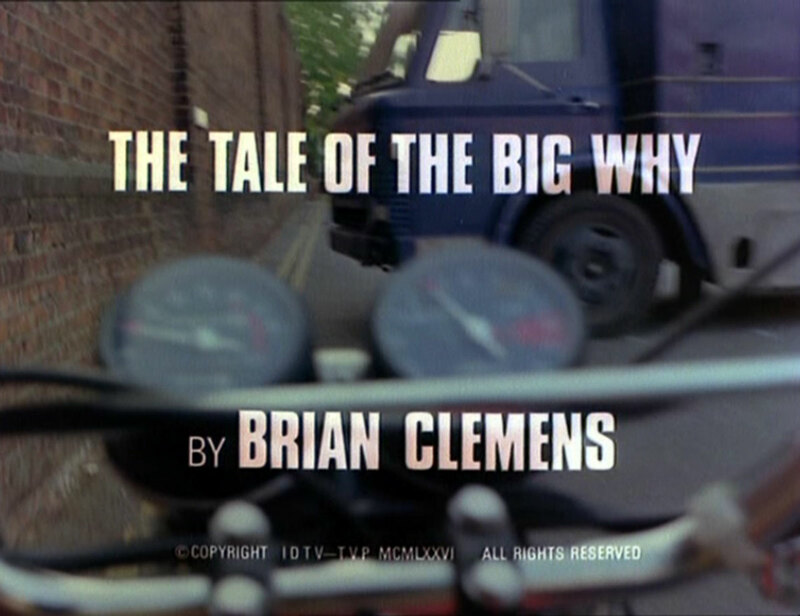 Brandon is released and gets into a car he's organised from inside, but is followed by Purdey - he's also followed by Roach and Poole, but they're cut off by a truck which Purdey's motorbike slips past. Roach - and Steed - know where he's heading and on which road, so pursuit for all parties is easy. He slips them by following a disused road to an old brick works, where he recovers a package. 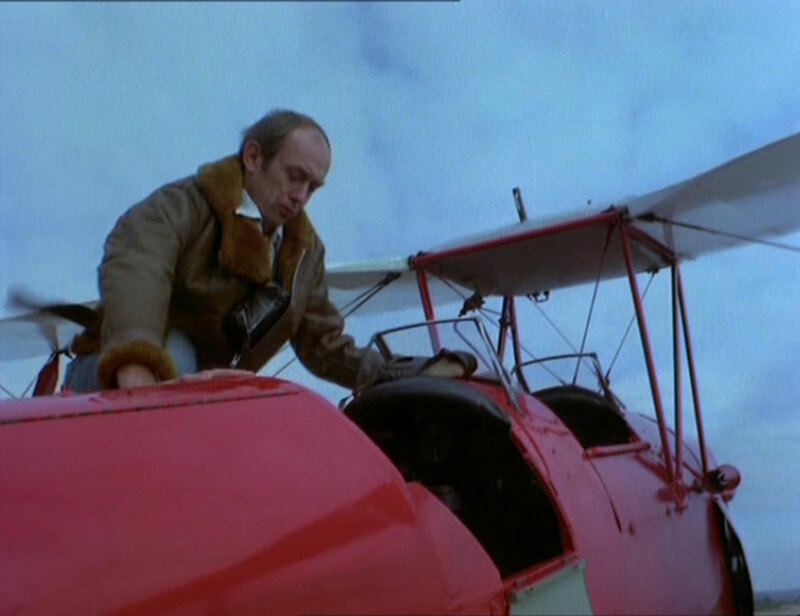 Roach thinks he has him trapped, but he visits Frank Turner (Roy Marsden), a crop duster, before he's waylaid - and he's accidentally killed during the ambush by Poole. 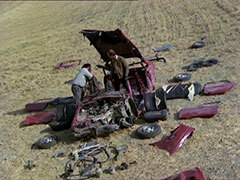 They strip Brandon - and his car - thoroughly but find nothing. Purdey arrives and has her bike shot out from under her and they make their getaway as she blacks out. 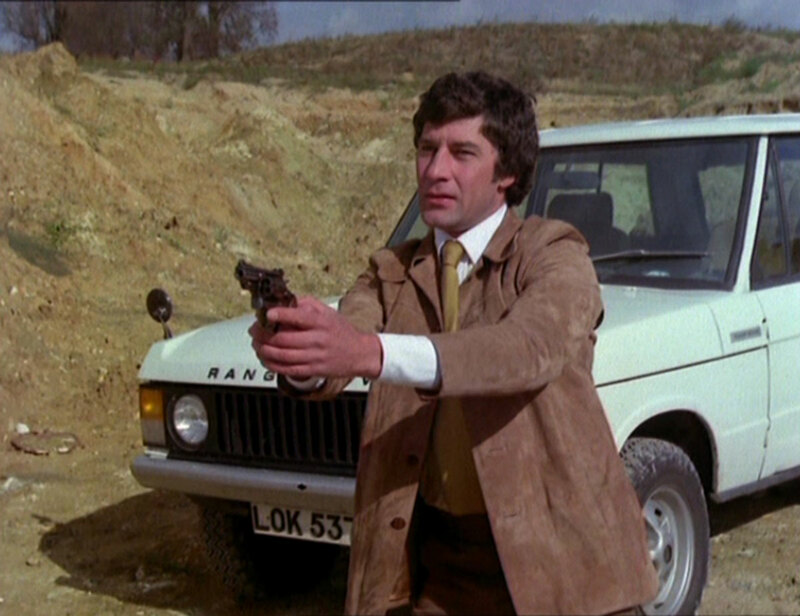 Gambit finds Purdey at the car and they take Brandon's boots, hoping they will furnish a clue as to Brandon's	movements. Purdey notices Roach's car outside and they realise he didn't find anything either. Steed tells the minister and Harmer the boots had an orchard pesticide on them. Gambit and Purdey investigate, followed by the villains, and Gambit's memory is jogged by a sign for Neverton - Brandon had told him he had a crop-duster friend in the village. Roach also remembers Turner and, knowing where Turner lives, gets the drop on them. Mrs. Turner (Maeve Alexander) is using the acid tanks to turn out fake antiques when they arrive and Turner's already talking to Roach and Poole - being roughed up in fact - and they rescue him from them, Gambit knocking down Poole with the door of his Range Rover. Turner tells them he took Bert up for a spin for old times sake, and admits he landed in a field due to engine trouble. He concedes Brandon strolled off while he worked on it, but can't remember where they landed. Mrs. Turner is shocked to hear of Bert's death and mentions his daughter, Irene - who had disowned him - and says he gave her a package to send to Irene yesterday. 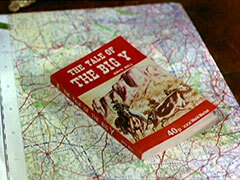 Steed interviews Irene, stalling until the package arrives, but all it contains is	a pulpy western called "The Tale of the Big Y". No-one can work out the clue and Roach and Poole, listening outside Steed's mansion are	similarly baffled. Gambit and Purdey go out for dinner but Gambit is worried the villains will try to steal the book, and know Steed's now alone. Sure enough, Roach breaks in and demands the book. He isn't prepared for Steed fighting back, nor is Poole prepared for his steel-crowned bowler, that deflects his shotgun blast back at him. Gambit and Purdey arrive, but Roach and Poole escape with the book. Steed says it doesn't matter, he thinks he has one somewhere - Purdey's worried, seeing the bowler hat but Steed means an aviation map - he's worked out it's 'tail' of a 'Y'. They look for suitably-shaped rivers or roads, then Purdey points out the 'Y' in SURREY printed across the map. 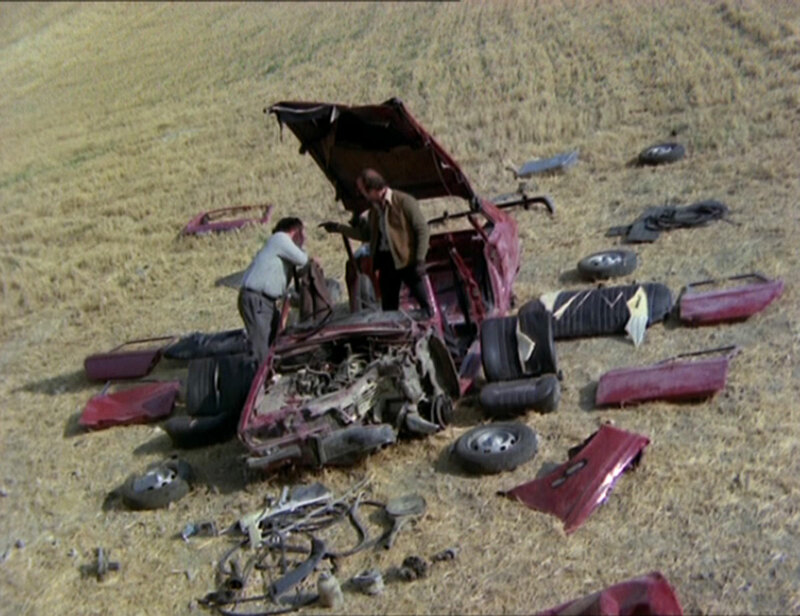 The next day sees Gambit dig up an old box but when he and Steed open it, they're menaced, "North by Northwest" style, by Irene, who'd also worked it out and she takes the box at gunpoint, and shoots out Steed's tyres. Unfortunately, Poole's waiting for her when she returns home and makes off with it, but it only contains scrap paper! 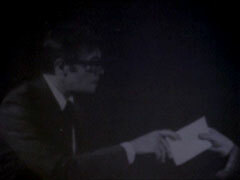 Roach and Poole then abduct Purdey and demand the contents from Gambit and Steed. At the exchange, Purdey tricks Roach into untying her feet and the New Avengers overcome them, courtesy of joke teeth, Purdey's high kicks and some fancy shootin' from Gambit. Harmer is waiting for them when they return, annoyed at their apparent laxity but Steed tells him the box was empty when found as Turner took the contents. Turner, meanwhile, is preparing to fly the country and takes the parcel from one of the acid tanks. Gambit leaps onto the wing of his plane, holding the aileron up so he can't get enough lift for take off. Harmer is getting edgy, so Steed tells him to relax and take off his jacket. The package is found to just contain eight black and white photos of Vienna, but Steed spies (ha ha) Kommissar Verslashky giving Harmer a bribe in one of them. Harmer draws a gun, but Gambit overpowers him unharmed as Steed's already unloaded it. 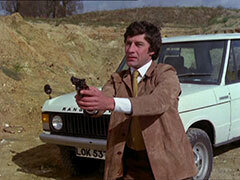 Purdey complains about their using telepathy, but Gambit says he just trusts Steed - in anything but cards!